PHR’s mobile app MediCapt puts cutting edge technology in the service of preventing sexual violence. The UN estimates that one in three women around the world will suffer sexual violence during their lifetime. In places like the Democratic Republic of the Congo (DRC) and Kenya, the vast majority of these crimes never get to court – usually for lack of evidence. Often, doctors, nurses, and other clinicians who examine survivors collect incomplete information that cannot be used as evidence to prosecute the cases. They routinely skip key questions about crucial areas they feel ill-equipped to evaluate, such as psychological assessments. Medical clinics often run out of the necessary forms and police do not get the evidence they need from clinics to support investigations. Due to the lack of secure storage, most health and police facilities keep private medical files on desks or floors where they risk damage, tampering, loss, or theft. PHR developed our award-winning mobile app MediCapt to overcome these challenges. This critical tool converts a standardized medical intake form for forensic documentation to a digital platform and combines it with a secure mobile camera to facilitate forensic photography. Health care providers can use MediCapt to compile medical evidence, photograph survivors’ injuries, and securely transmit the data to police, lawyers, and judges involved in prosecuting sexual violence crimes. Among its many essential features, MediCapt includes sophisticated encryption, cloud data storage, high fidelity to chain of custody standards, and tamper-proof metadata. The app’s data mapping feature can help reveal patterns or prevalence of violence, including the widespread or systematic nature of offenses critical to demonstrating crimes against humanity. MediCapt also has the potential to facilitate early warning of and rapid response to mass crimes. Significantly, the app is designed to securely collect data in conflict zones, as well as remote locations where wireless data transmission is limited. The tool can also accommodate the various languages and literacy levels of its users. MediCapt’s secure capture feature facilitates the collection of forensic photography, which plays a critical role in documenting the physical injuries associated with sexual violence cases. This feature was added to the app after feedback from our partners in the DRC who identified this need during our collaborative design process. MediCapt was developed using a process called collaborative design or “co-design,” in which we field tested the app and incorporated our partners’ feedback early in the development process to ensure that MediCapt truly responds to their needs. 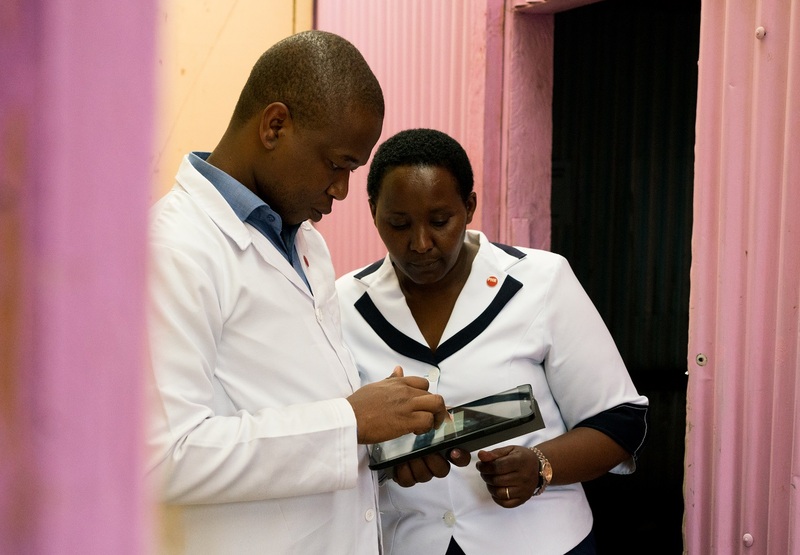 We began piloting the app with patients in Kenya in late 2018. In 2018, PHR won a Massachusetts Institute of Technology Solve award for its groundbreaking work on MediCapt, one of eight winners in the “Frontlines of Health” Solver category. In 2013, MediCapt won first prize in the USAID-Humanity United Tech Challenge for Atrocity Prevention competition in the Safe Documentation category. The Tech Challenge emerged from President Barack Obama’s Genocide and Atrocities Prevention initiative, under which he pledged to support creative 21st-century solutions to prevent mass atrocities. PHR works to end impunity for sexual violence and to bring justice to survivors of these terrible crimes.